This coastal region in the north of Spain is a mixture of scenic coastal resorts, stunning mountain landscapes and prehistoric caves and makes an inspirational destination for a Spanish language tour. Relatively undeveloped and authentically Spanish it is a great place to immerse your students in the language and culture through a combination of lessons, workshops and educational visits. 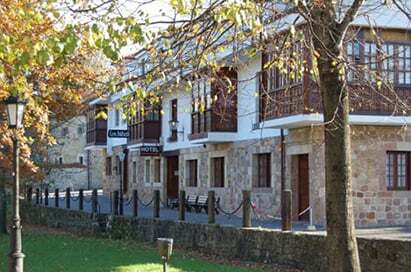 Explore the perfectly preserved medieval village of Santillana del Mar and visit the Altamira Caves with their prehistoric cave paintings. The lively bayside capital of Santander is known for its seafood tapas and long curving Sardinero beach and maritime history. For natural wonders, head into the mountains for spectacular scenery or ride the mining train through the El Soplao Caves to see some of the best rock formations of their type in the world. I was 100% pleased with the tour and service we received with European Study Tours. The itinerary was perfect. Included such a great range of activities that were all very interesting and exciting. The trip was exactly what I wanted and more.